Good Morning Lovelies! Anyone else sooooo ready for the weekend? With a bitter cold snap I have been feeling rough this week, and could really use a lazy day or two. Even when I’m home during the week I feel guilty if/when I have to take a rest day, like I have to get something done even if it’s just a small thing. But when the weekend rolls around I have none of that guilt. Is that weird? Oh well wouldn’t be the first time I was accused of being a little weird. 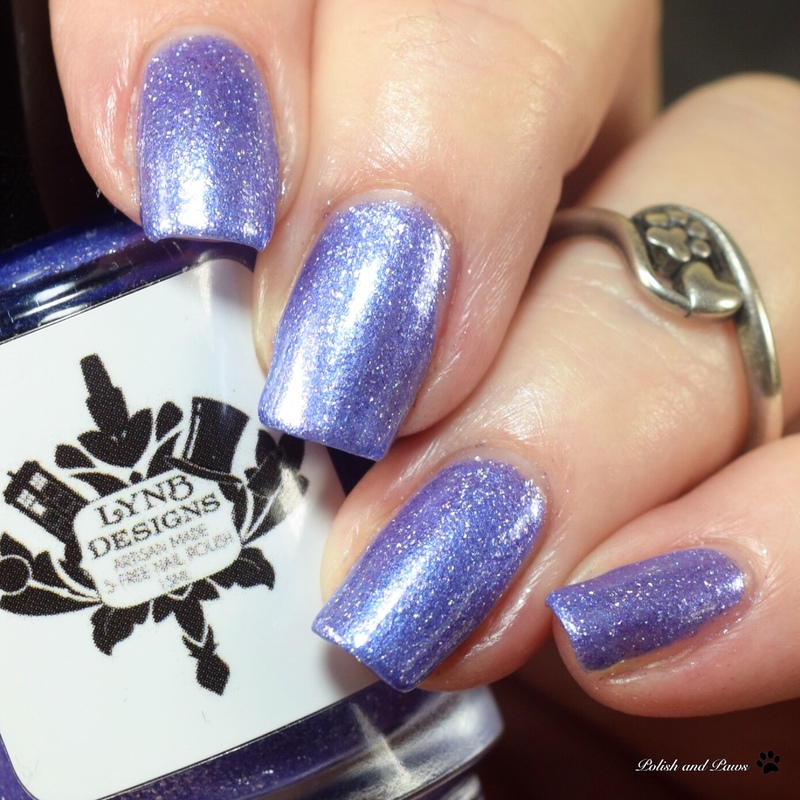 Now let’s jump on in to todays post, LynB Designs December Polish of the Month, Tantalizing. 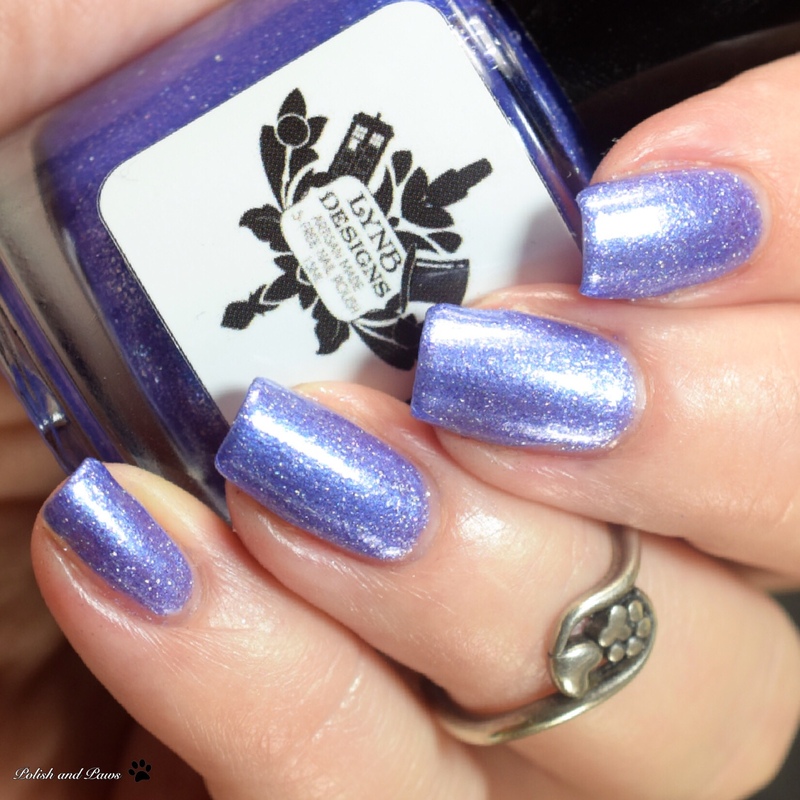 Tantalizing is described as a medium bluey purple flakie base with blue shimmer and holo micro flakies. I have to say that I don’t feel like I did this polish justice. I’m in the process of reworking my lights and light box, long story short I had to swatch this without my light box. It’s absolutely beautiful in person, leans a little darker than it shows here. My macro shot below is the most color accurate. For my swatches I used 3 thin coats with glossy top coat. The formula was very smooth with a nice consistency. Tantalizing will be available… well now. That’s right, Jenna decided to launch this one a little early with her Black Friday sale so no waiting. It retails for $10. Any blue/purple/blurple polish lovers will likely appreciate this beauty and of course all the December babies definitely will! Hope you enjoyed todays post, and have a fabulous weekend!